Hello friends! Today I am in my happy place making flowers. Be it any season, paper flowers are always in style! 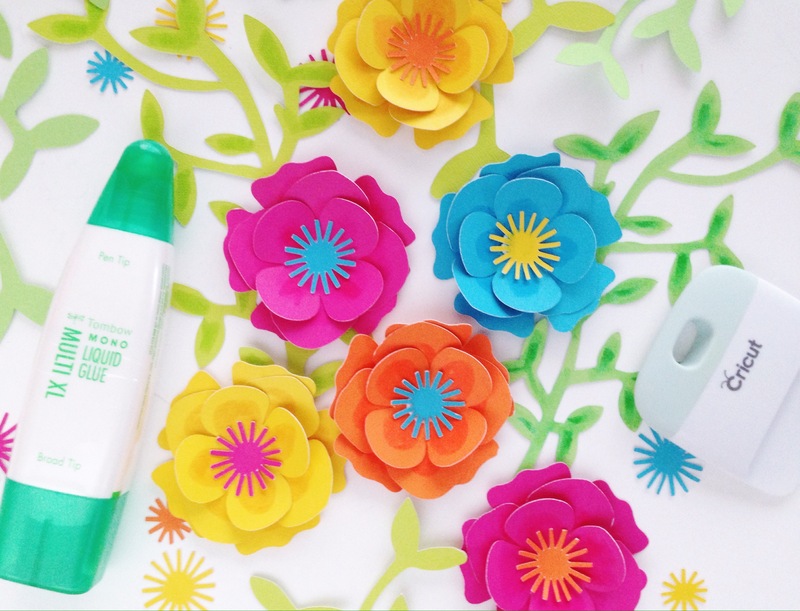 With the help of an electronic cutting machine and Tombow adhesives, making these paper flowers becomes SO easy! 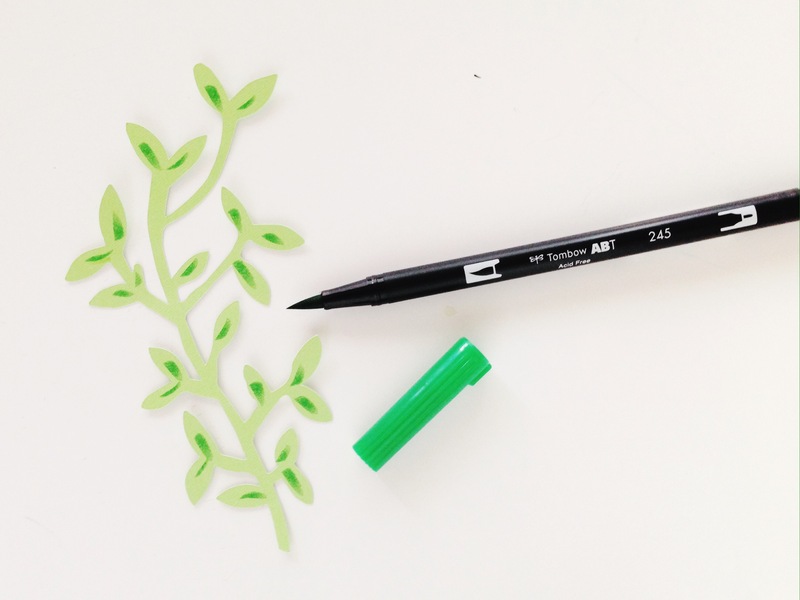 A big thank you to our friends at Cricut for supplying the Tombow Design Team with their Explore 2 Air Machine! 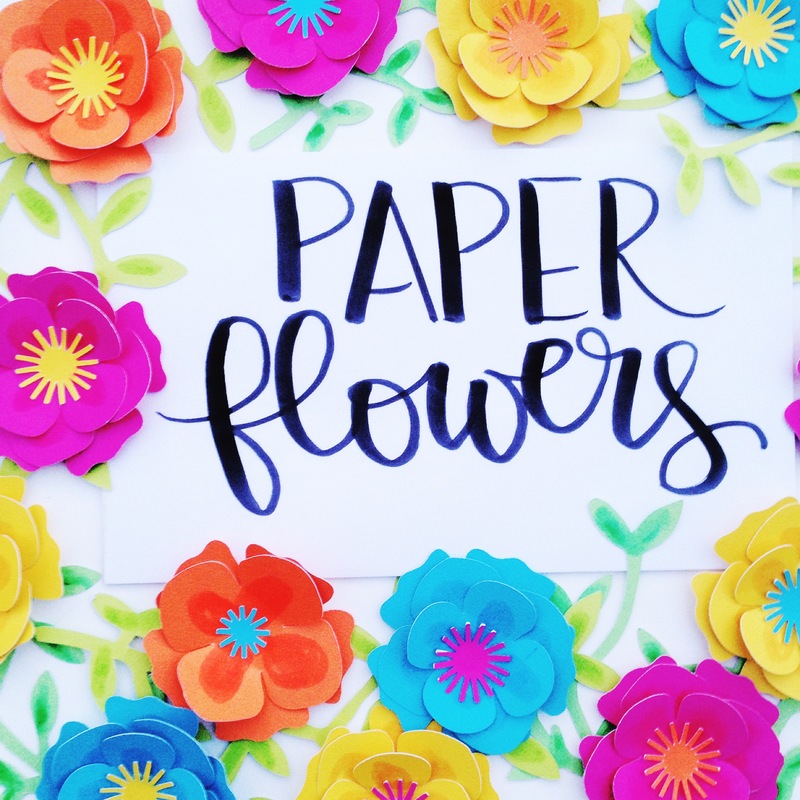 To make these pretty paper flowers, you will need: a few sheets of colorful cardstock, some Dual Brush Pens and the Tombow MONO Multi XL Liquid Glue. You can also make these flowers using pretty patterned papers or choose pretty pastel toned papers. 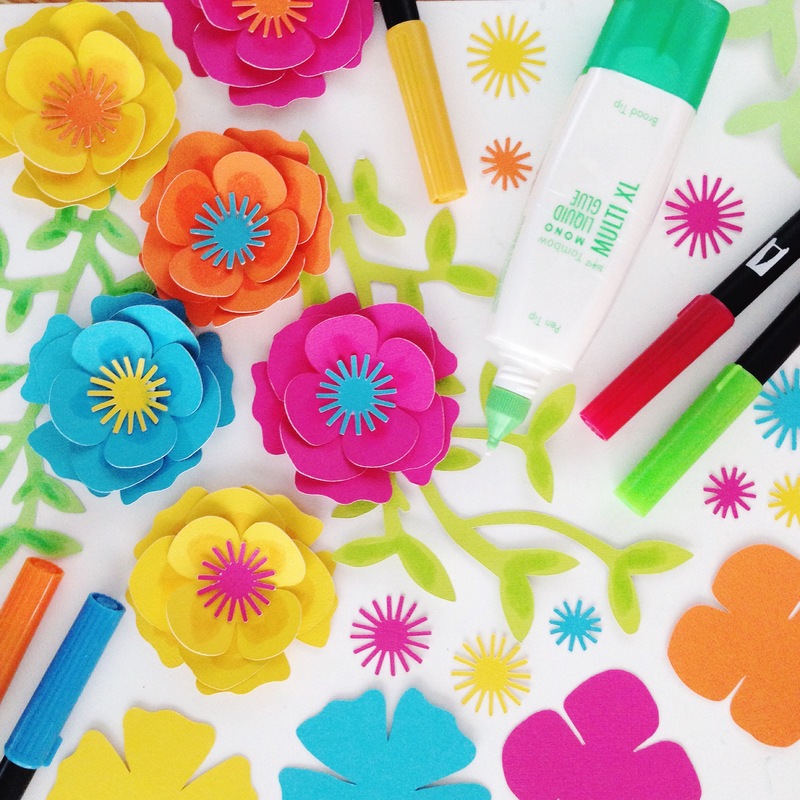 I use the pens to add a shade of depth and the glue to assemble the flowers together. Using the Cricut Explore Air 2, I cut out different sized petals, leaves and flower centers from my cardstock. 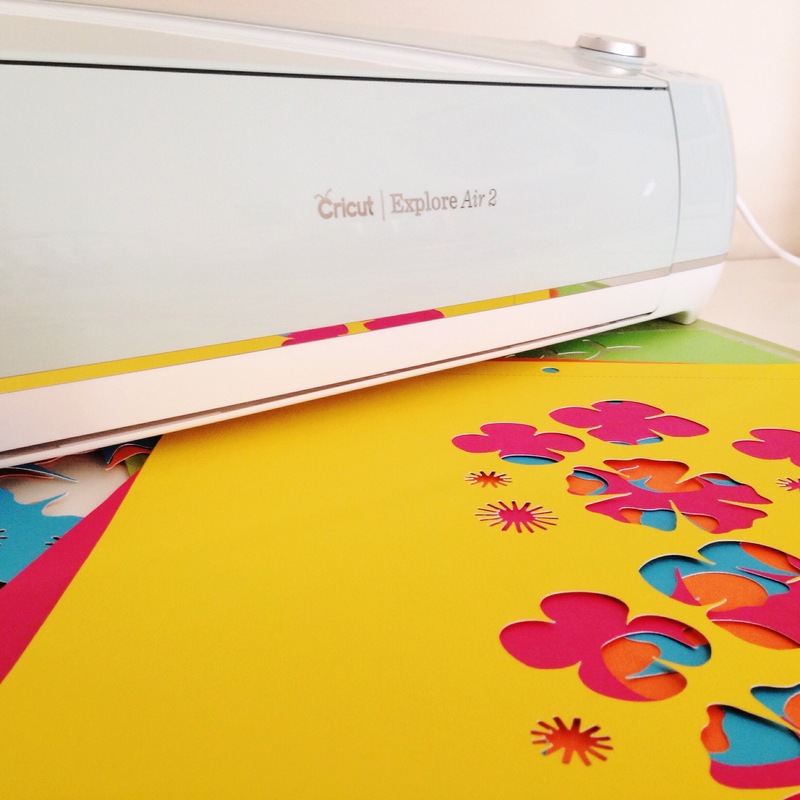 Using this electronic cutting machine is super easy and so enjoyable. The cuts always come out perfect and the whole project is easily completed within 15 minutes. Now you can actually string all of these petals to make a paper chandelier or flower wreath or make a bouquet. I chose to make my flowers in multiple bright colors today. But this project is truly versatile – you can make the flowers to be of your color choice and you can choose the style of flowers you want in the Cricut Design Space. There are many beautiful designs available. To add some depth and to subtly enhance the colors of the paper elements, I added some strokes and details using the Dual Brush Pens. For the leaves here, I used the Dual Brush pen 245 to add some lines. I then smooth and spread that color with the Colorless Blender Pen. You can see here how the leave stalk looks so much more realistic after doing this. I similarly added a touch of color to the flower petals as well. And then to create a dimensional flower, I stacked three flowers on top of each other using the MONO Multi XL. 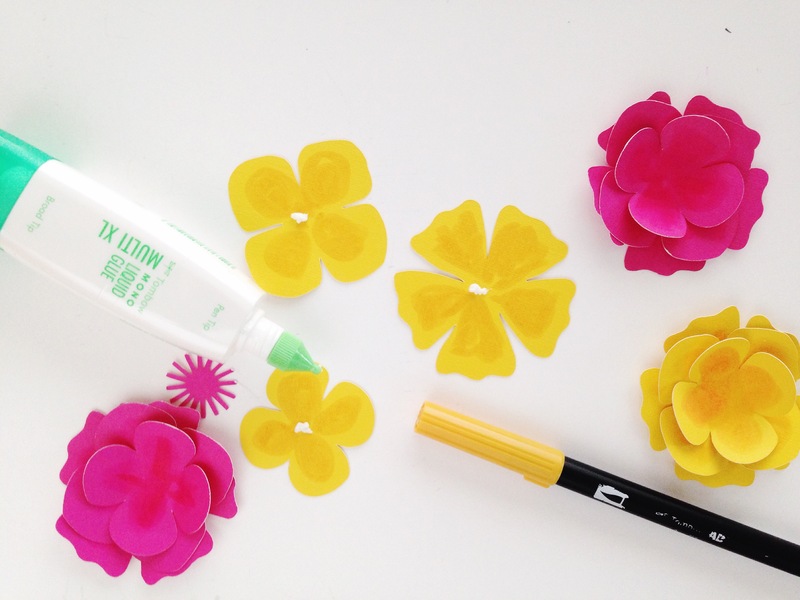 Squeeze a small amount of this glue to the center of each flower and then stack them together. 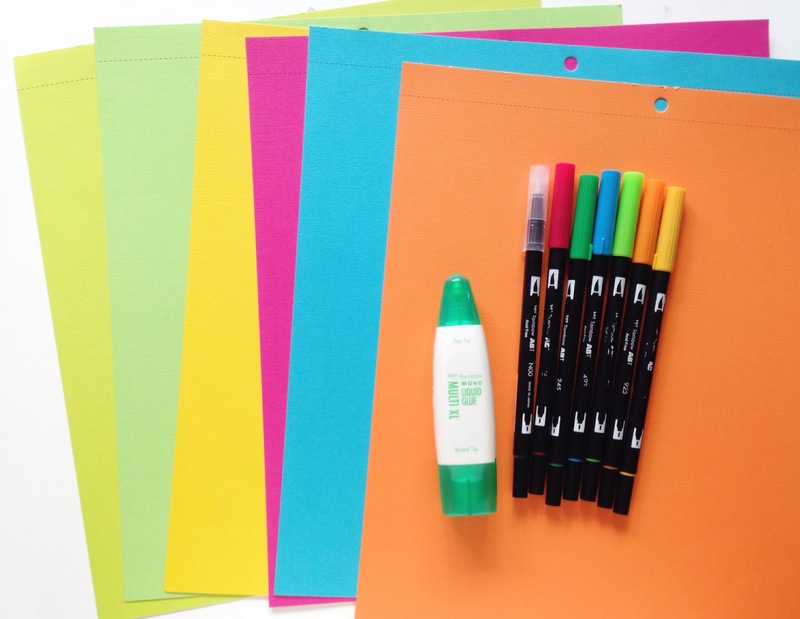 The glue dries clear and holds the papers together strongly. 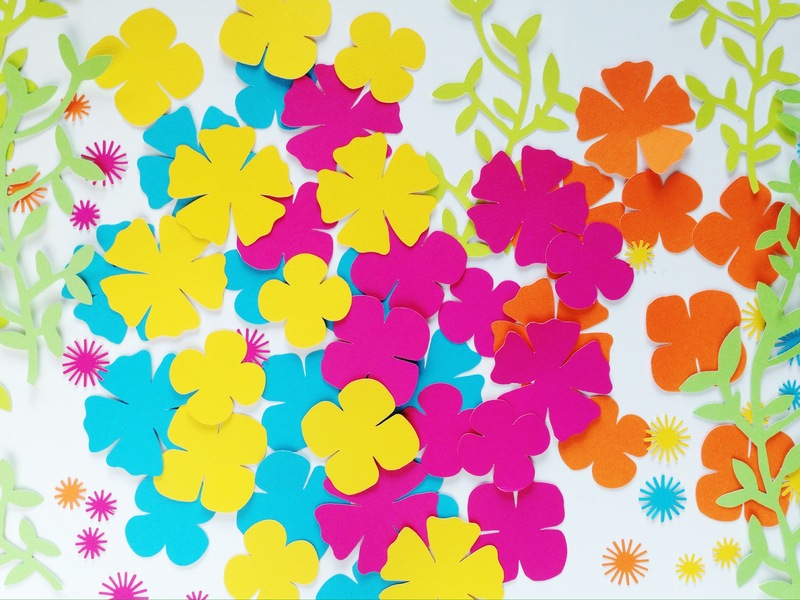 Once you start making these flowers, you might find it difficult to stop making them! 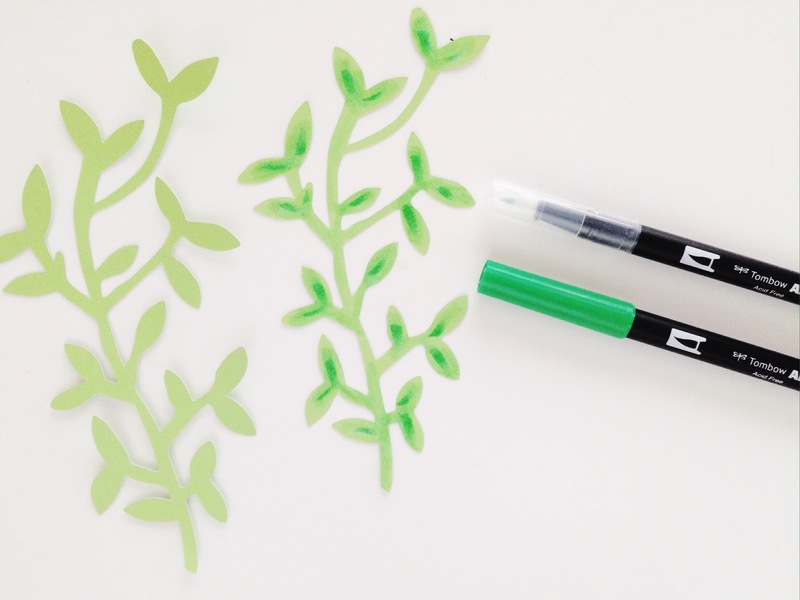 I will be using these first to decorate a table at a friends baby shower this week, but after that I plan to add them onto a notebook or an monogram alphabet. I slightly curled the petals to give a soft realistic dimensional look to the flowers. 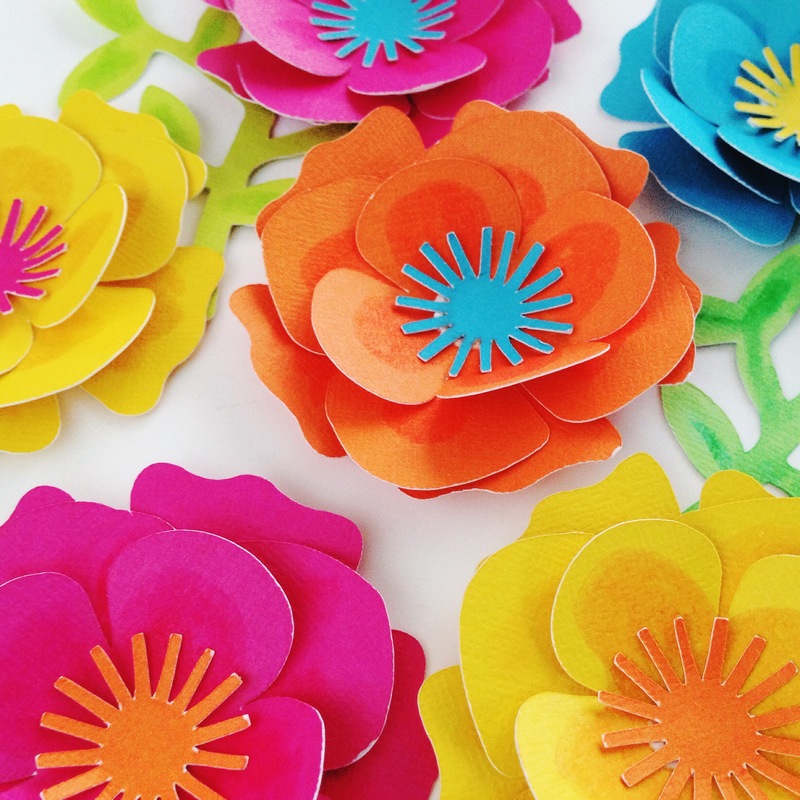 What would you use these paper flowers for?Let me know in the comments below!